I can’t pass that house without seeing those girls. Empty windows stare back, curtains burned away; yellow tape flaps limply. There they were, all along: living among us, packed like potatoes in a brown bag under the sink, forgotten until it bursts. Did we pass them every day, not hearing cries for help through bricked walls, not seeing notes passed through chinks in boarded windows? We know only this: that they were found holding hands, waiting for rescue that never came. Nothing left but carbon and calcium: walls we never crossed, windows we never broke through. Brilliance moving though time and space. 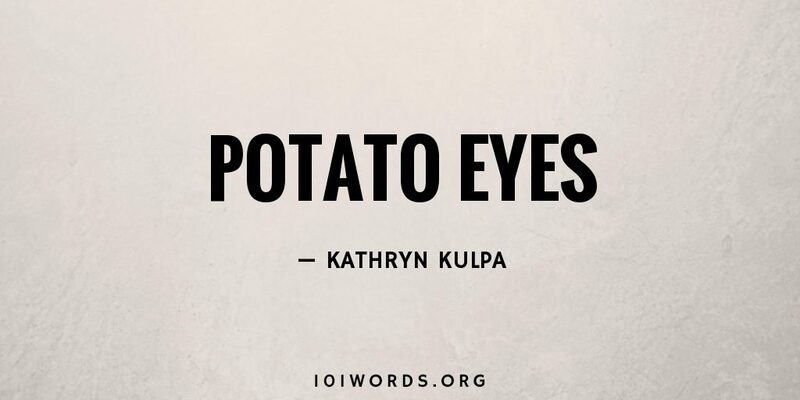 Kathryn has mastered the fine art of literary imagery using the old adage that less is more. For Kulpa, less always yields more. Katherine, what a complete and vivid story with a long lingering resonance. Wonderful! Great story. Really draws the reader in and invokes empathy. A moment in time. A haunting memory. That’s FF. Amazingly good story. It makes everyone into an unseeing bystander. Congrats.